Anyway, I taught this layout to the ladies out in Blue Bell the other night, and they did a great job! So easy...the hardest part is cutting out all those squares. Speaking of which. OK, remember when I said you wanted to get about 6 coordinated papers? Well, you're going to cut about 6 - 10 one and a half inch squares in each color, then corner round the squares. 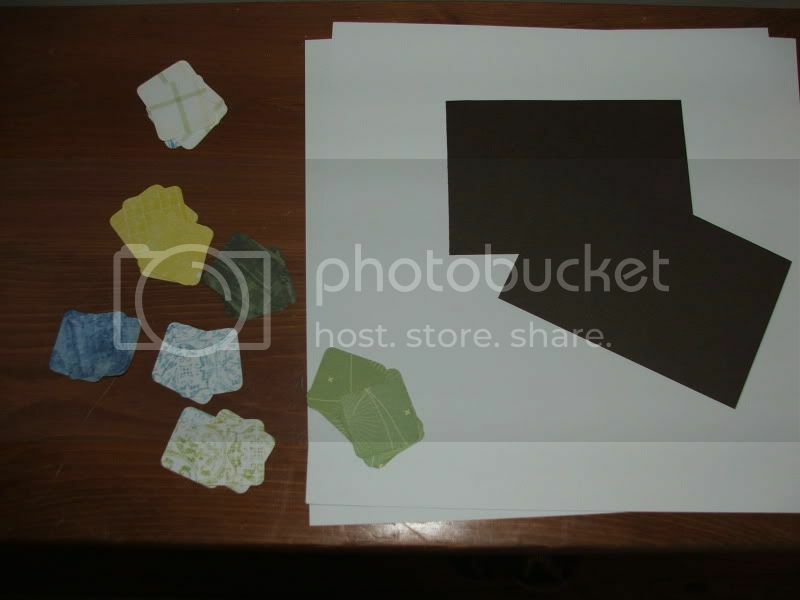 Some of the papers I used were just scrap, but others included GCD studios Sonata , Sunset Silhouette and Zen Bamboo. (Hint, the George cartridge for the Cricut Expression here at the store will cut corner rounded squares. Remember, you can use the Cricut for just a $1 all night at Friday night crops). Next installment? Laying it all out.